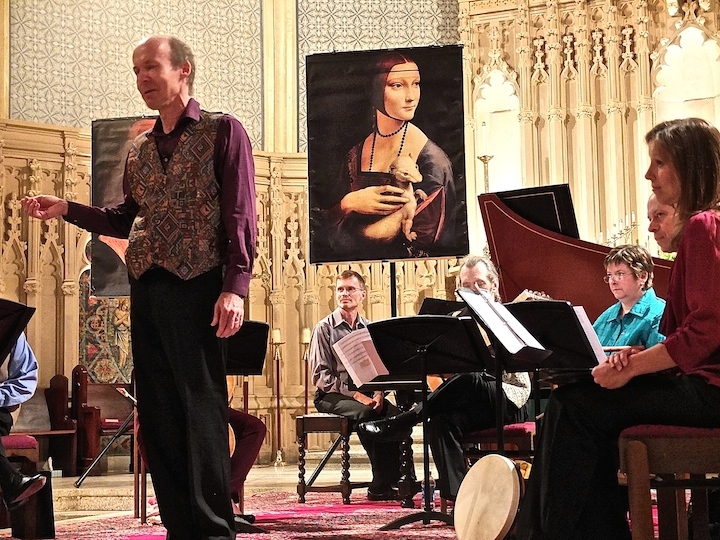 Classical music: The Madison Early Music Festival turns 15 with a perfect opening concert by the Toronto Consort that explored the Italian Renaissance and the musical legacy of Leonardo da Vinci. 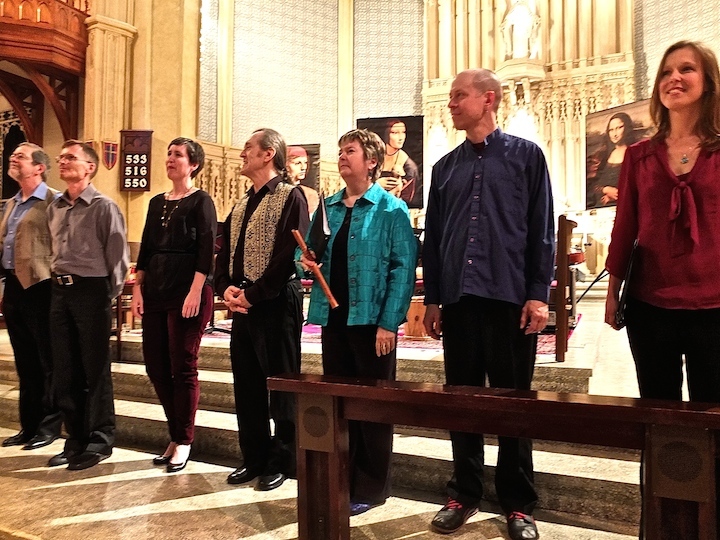 The Madison Early Music Festival started as an idea. 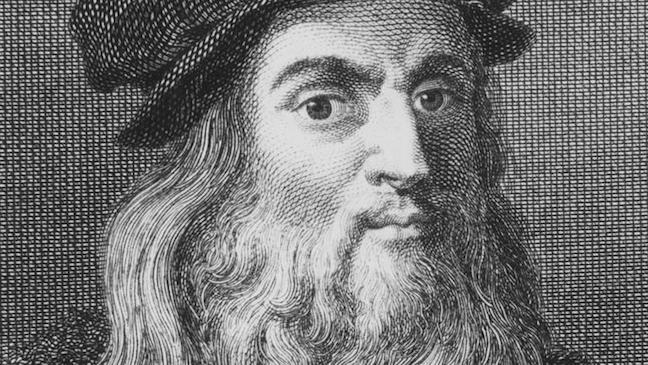 So, what better way to mark its 15th anniversary than by exploring perhaps history’s greatest Man of Ideas -– Leonardo da Vinci? And that is exactly what happened during the opening concert last Saturday night by MEMF, which this year is exploring Italian music from 1300 to 1600. 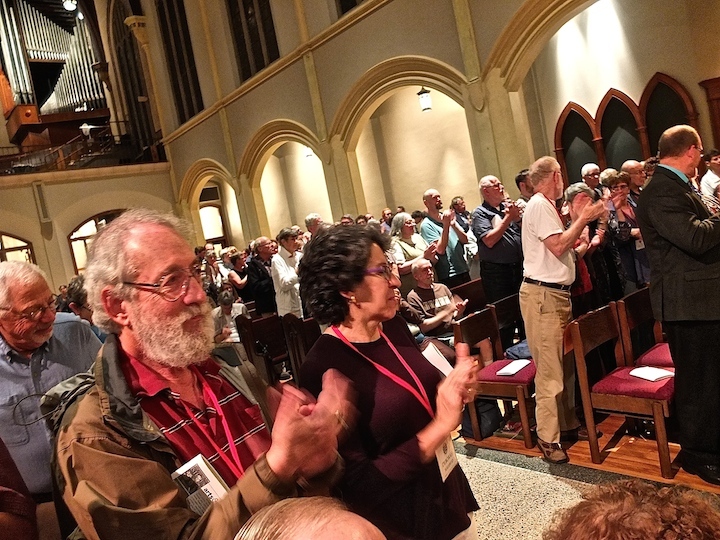 The festival — complete with workshops, lectures and concerts -– is held each summer at the University of Wisconsin-Madison School of Music. It started as a way to help fill the summertime void of classical music. But now summer is its own season when it comes to classical music in Madison, and much of that success is due to MEMF’s success. 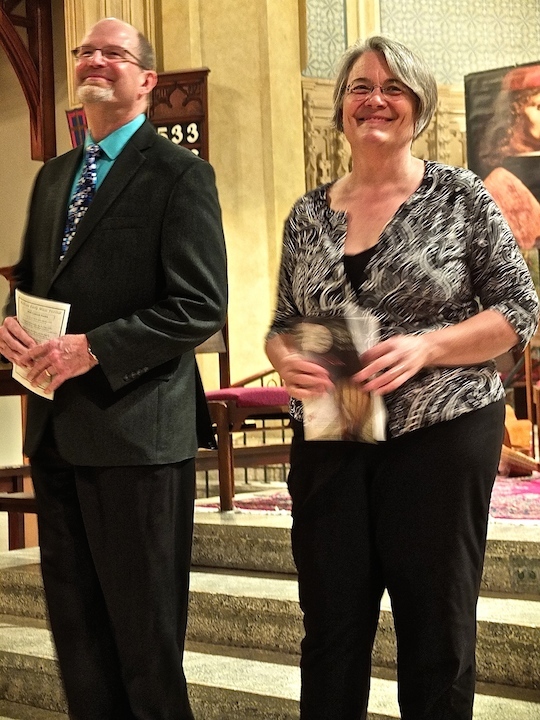 Co-founders and co-artistic directors UW-Madison baritone Paul Rowe and his soprano wife Cheryl Bensman Rowe (below) had every reason to be proud and moved -– and they were, visibly and audibly. This summer, because Mills Hall is under construction, MEMF has had to turn to other venues, chiefly the nearby Luther Memorial Church at 1021 University Avenue and Music Hall on Bascom Hill. 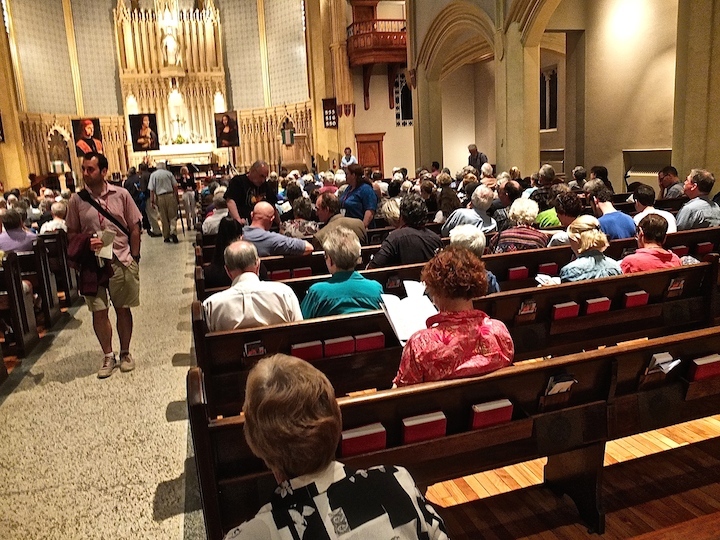 The opening concert “The Da Vinci Codex” was held at Luther Memorial, and the church seemed close to full, meaning almost 400 listeners attended. This alternative venue actually seemed an improvement in that it offered a warm and acoustically superior environment with sets and a building that complemented the religious beliefs and art of that era’s music and culture. 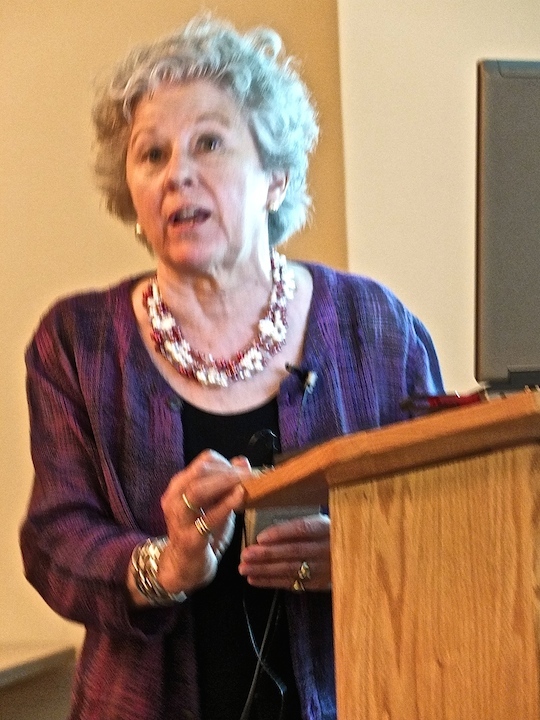 The program was set up by a fine and well-attended lecture and slide show given by UW-Madison art professor Gail Geiger (below). 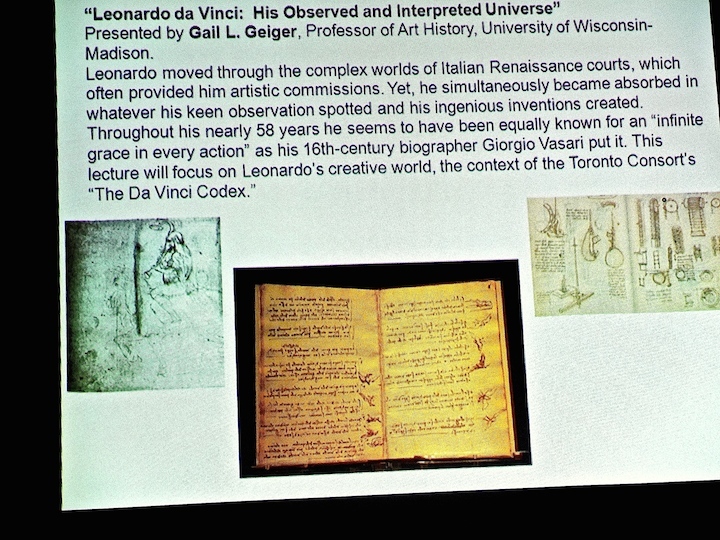 She examined the heretofore underestimated role of music in Leonardo’s life and career as a painter, drawing master, poet, engineer, inventor and all-round genius. What the audience then heard was a two-hour concert in which no false note was sounded, no false step was taken. 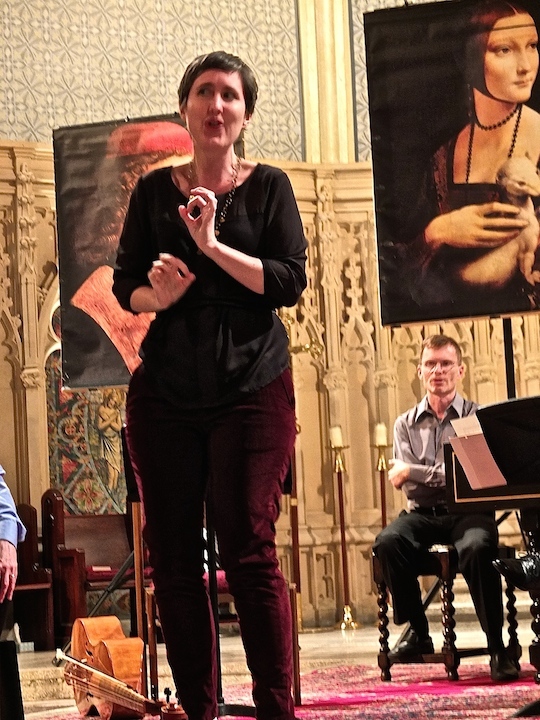 The Ear was especially impressed by the tightness of the scissors-and-paste presentation and the uncanny way the Toronto Consort spoke to and engaged with the audience, who laughed and applauded thunderously. 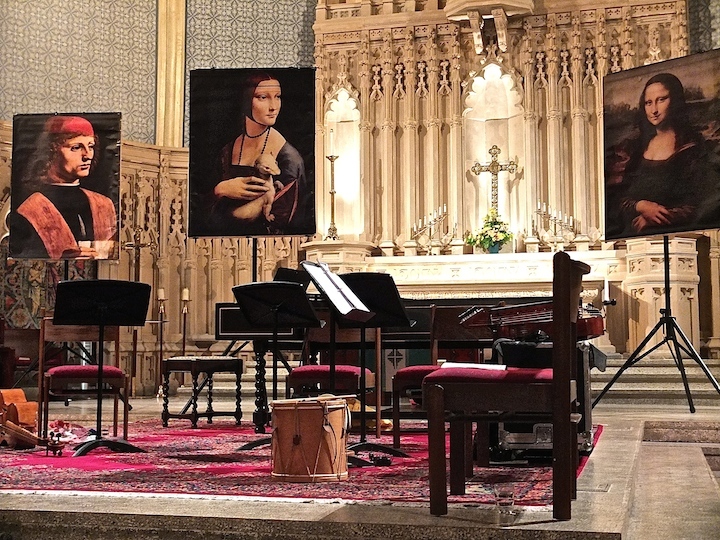 The performers moved easily from historical accounts of Leonardo in Florence, Milan and France to contextual music that illustrated Leonardo –- the ultimate Renaissance Man — from birth to death. And it proved thoroughly enjoyable and often deeply moving. You did not have to be a fan of early music to be taken in by the contagious melodies and harmonies, the catchy inflections and rhythms, the facts of an amazing life and career. There is much more left of the 15th Madison Early Music Festival to hear, including “Songs of Love” by the instrumentalists and vocal ensemble Ex Umbris in Music Hall tonight at 7:30 p.m. tonight; plus other concerts including the second annual Handel Aria Competition in Music Hall on Thursday night at 7:30 p.m. (NOT 7 p.m., as the MEMF home website mistakenly said at first, and the always impressive All-Festival Concert, which focuses this year on the Trionfi of the poet Petrarch, on Saturday night at 7:30 p.m. in Luther Memorial Church. FREE pre-concert lectures by experts in art, music and history take place at 6:30 p.m. Unlike many of Leonardo’s ideas, which were adventurous and even prophetic if uncompleted, MEMF has moved from idea to reality. The Ear has no doubt, and every hope, that it is here to stay, and that it will continue to evolve and grow.